Hello crafty people, I hope you are well wherever you are and enjoying what’s left of the weekend. 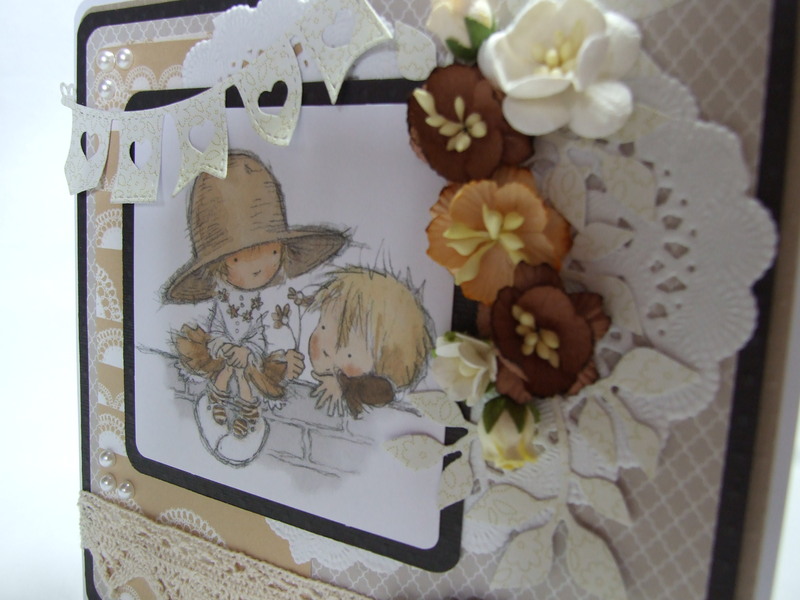 Today I’m sharing an anniversary card that I have made for my parents to give to my Brother and Sister-in-Law – their anniversary is at the beginning of May. May is a busy time for birthdays in our family so I’m trying to get ahead here! My parents share the same birthday – I kid you not! But that’s not where the coincidences end as my Mum had the same maiden name as her married name! Their neighbours on one side have the same names as my husband and I, their other neighbour shares my parents birthday and their daughter has the same birthday as me!!! Spooky or what! 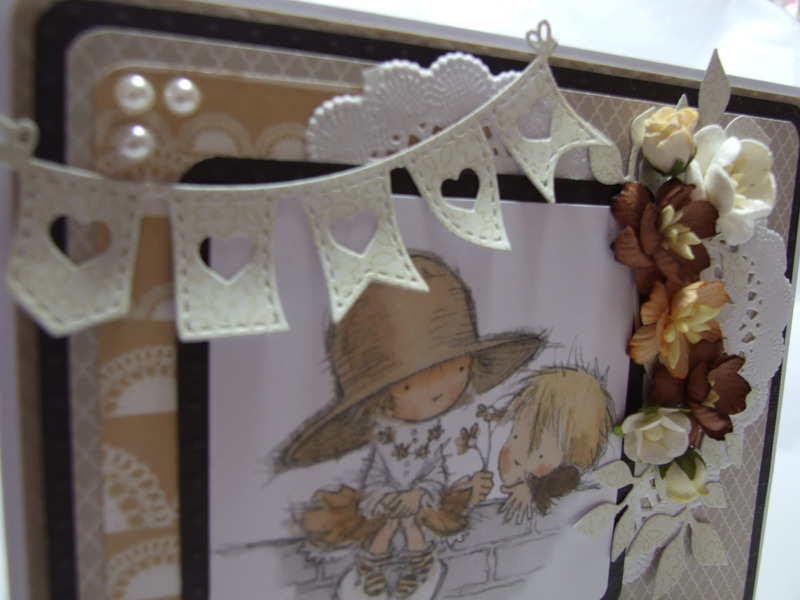 Anyways, for this card I have used papers from Studio Calico – Classic Calico Collection, embossed cardstock from Bazzill, the cute topper is from Lili of the Valley and the heart shaped doilie is by Dovecraft. I had a delivery yesterday of lots of pretty mulberry paper flowers so I popped a few of those on too, so now it will need a pretty box for it to go in 🙂 I think the banner die is by La La Land and the leaf die is by Sizzix. Thats’s all for this week, thanks for stopping by and I hope you have a great week ahead 🙂 – Karen. < Previous Bow – dacious Bows! Next > Relax, unwind and drink wine….. Your card is so beautiful! 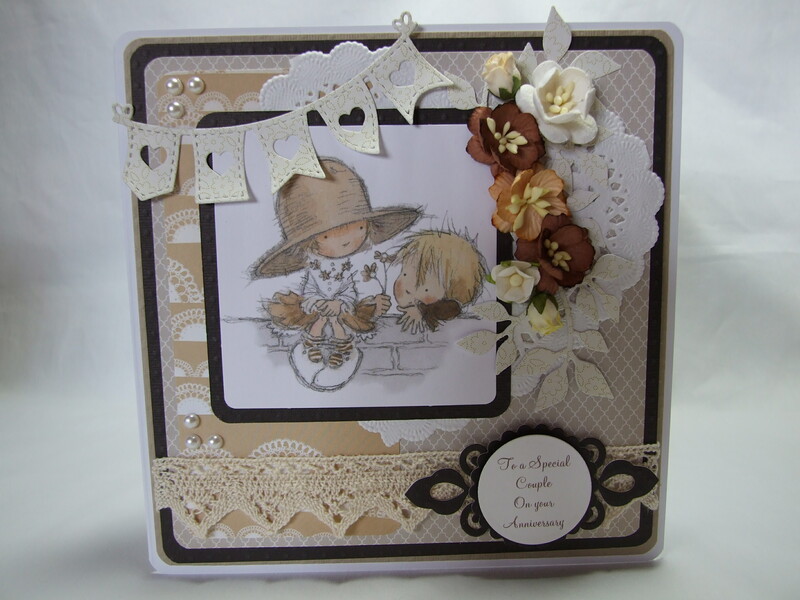 I love the soft tones and the sweet banner and flowers! Such a sweet anniversary card! Very sweet anniversary card! Love all the fab detail!